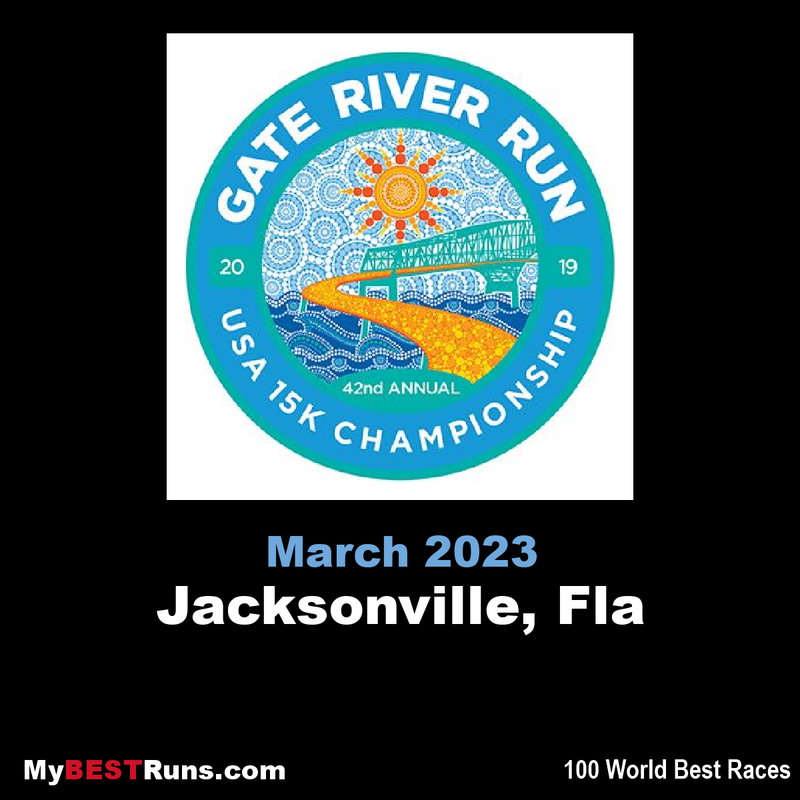 The Gate River Run (GRR) was first held in 1978, formerly known as the Jacksonville River Run, is an annual 15-kilometer road running event in Jacksonville, Fla., that attracts both competitive and recreational runners -- in huge numbers! 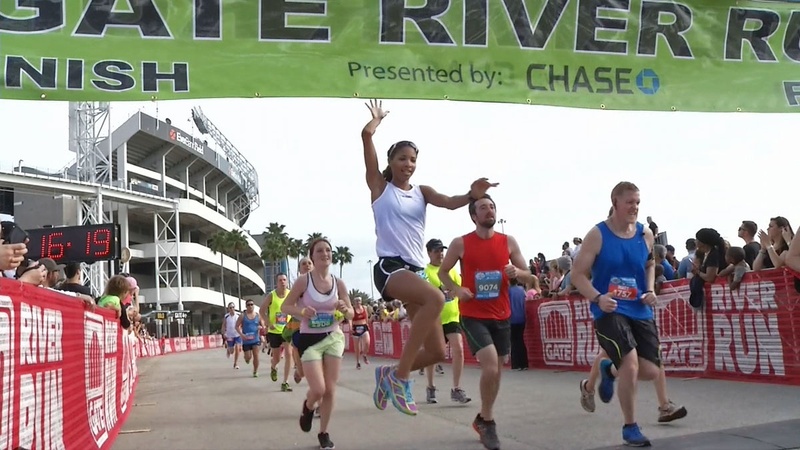 One of the great running events in America, it has been the US National 15K Championship since 1994, and in 2007 became the largest 15K race in the country. 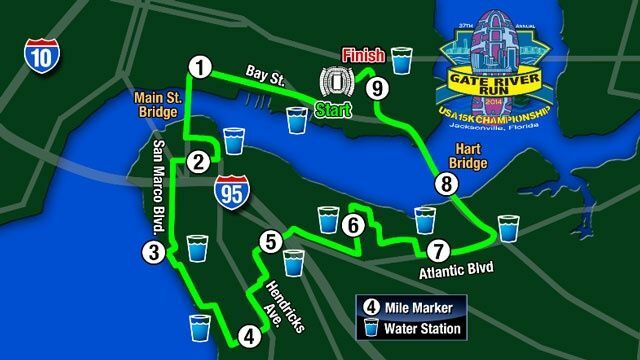 It was voted as one of the top US Road Races for last 20 years by Runner's World Magazine. This is the largest 15-K in the US, also the American Championships. One of America's great running events. 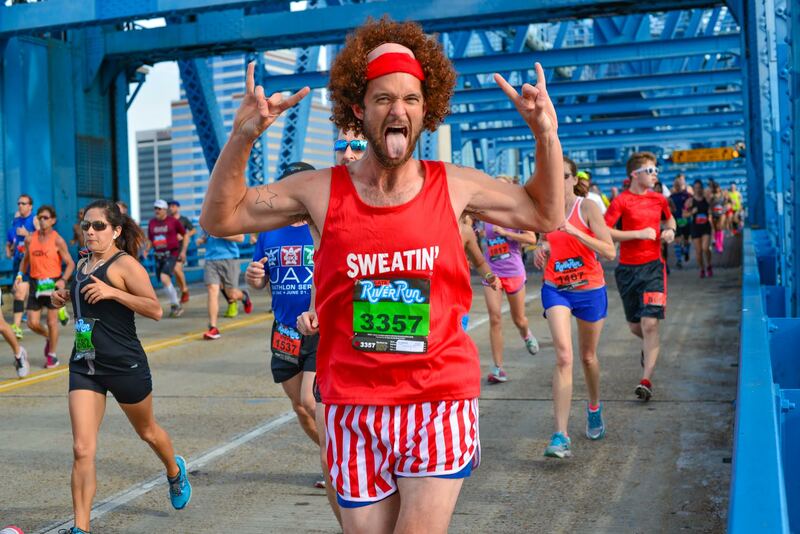 Voted one of the top US Road Races for last 20 years by Runner's World Magazine. $65,000 prize money awarded to USA's Olympic Athletes. Live Bands every mile, medals to all 15K finishers, 3-day Expo, and a fantastic post race party make this a race not to miss.